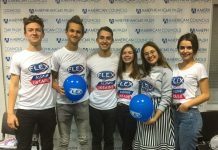 Every year, FLEX alumni in Turkmenistan organize and participate in a series of events to celebrate International Education Week (IEW). This year, alumni activities were held at the Information and Resource Center (IRC) of the Public Affairs Section of the U.S. Embassy. Nargilya Gasanova ’08 (Ashgabat, Turkmenistan/Frankfort, MI) conducted a presentation on “How to Be a Successful Student in the U.S. College” to promote higher education in the U.S. During the presentation, she shared general tips and provided personal suggestions for academic success in an American university environment. A number of alumni assisted the FLEX Program Coordinator during a recruitment presentation to generate interest in the program and share their personal experiences. After the presentation, the alumni responded to questions from the audience about the program and American culture. 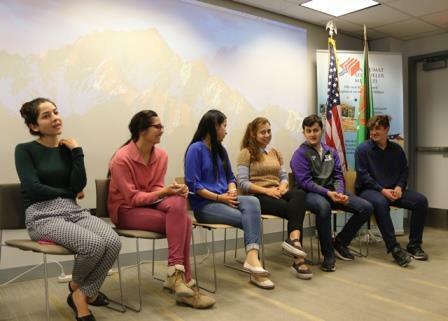 Seven FLEX alumni participated in a panel discussion to give first-hand insights from their experiences in the U.S. and discuss the value of international exchange. 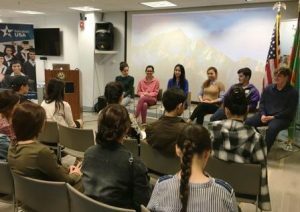 Alumni took turns to cover topics such as: the American family structure, holidays and traditions, American high schools and friends, extra-curricular activities, and community service. The panel concluded with a Q&A session, during which alumni responded to all inquiries participants had about their year in America. 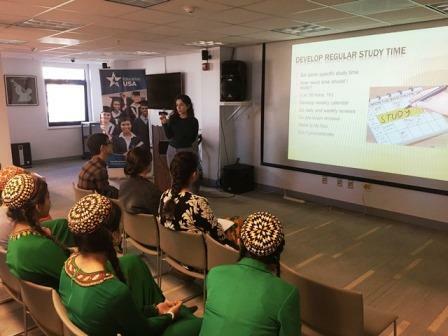 Diana Muhammedova ’08 (Mary, Turkmenistan/Brunswick, GA) organized a TED Session aimed at improving listening and analyzing skills. In the beginning, she familiarized the attendees with the TED Conference structure and its value for high school and college students. Following the presentation, the participants watched a speech entitled, “How I Made an Impossible Film” by Canadian filmmaker Martin Villeneuve, where he explains the various ways he overcame financial and logistical constrains in his life. At the end of the talk, Diana initiated a discussion on ways the participants may overcome challenges in the future. Over 100 of participants attended the activities that were organized by the FLEX Alumni.